From April 3rd to 30th members of the 17th Anglo-Sarawak expedition, entitled Mulu Caves 2012, visited Malaysia‘s Gunung Mulu National Park. During the month-long expedition, which based itself at the National Park headquarters, members carried out a programme of exploration and research including studies on bell-hole formation, sedimentology and dating. Just under 10 kilometers (6.2 miles) of passage was surveyed, in extensions to Lagan’s Cave and in the cluster of Red Leaf Monkey Caves 1 & 2 and Train Cave, located about 600 meter (2000 feet) above the entrance to Cobra Cave in the Melinau Paku Valley. A team collecting samples in the Clearwater system also found another 700 meters (2300 feet) of new cave, but unfortunately, were not carrying survey equipment. 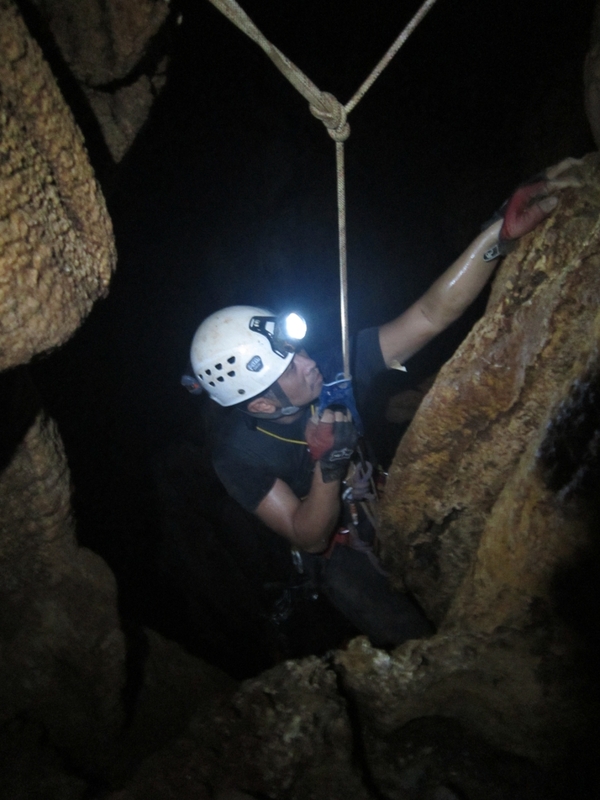 For more information this and other expeditions to Gunung Mulu National Park visit the Mulu Caves Project website.